In the context of protracted conflict, is there a relation between identity and willingness for reconciliation, and in what way does this relation exist? The current study checks the relation between individual differences in identity perceptions of a given protracted conflict along religious, national, and civic dimensions and willingness for reconciliation. The research case study is the Arab Israeli conflict and was able to formulate a unified attitude which was applied to groups with asymmetrical power and also can serve scholars who study political mechanisms and dynamics involved in various protracted conflicts around the world and the researchers on democratic changing. Our hypothesis is that the perception of conflict and threat perception are major factors that mediate between the degree of agreement to reconciliation on the one side, and religious identity and other identity perceptions (national and civic identities) on the other side. Also, democratic values have a crucial role for increasing the willingness to reconcile. The study, a comparative study, examines this research model using surveys carried out among 2,170 students in Egypt, Jordan, Tunisia, Palestine, and Israel between October 2015 and June 2016. The cases were selected as each country has a various regime type (control variable). Results show that the perception of conflict and threat perception are major factors that mediate between degree of willingness to reconcile and the rise of some identity perceptions. Results also show that religious conflict perception decreases willingness to reconcile, while material perception increases it; in both cases, threat perception decreases willingness to reconcile. The results also show that this younger generation opposes reconciliation with Israel. Democratic values play a positive role in willingness to reconcile in the Israeli case, while in the Arab cases, they play a negative role. Identity perception could play a crucial role and affect how groups perceive their conflict basis, i.e., if one perceives his identity as religious, then s/he will also perceive the conflict as religious. According to the results; Israelis perceive their identit more as a national and civic and the conflict as material, while the Arabs perceive their identity as a religious and the conflict as a religious. Finally, being a democracy does not necessarily increase willingness to reconcile. 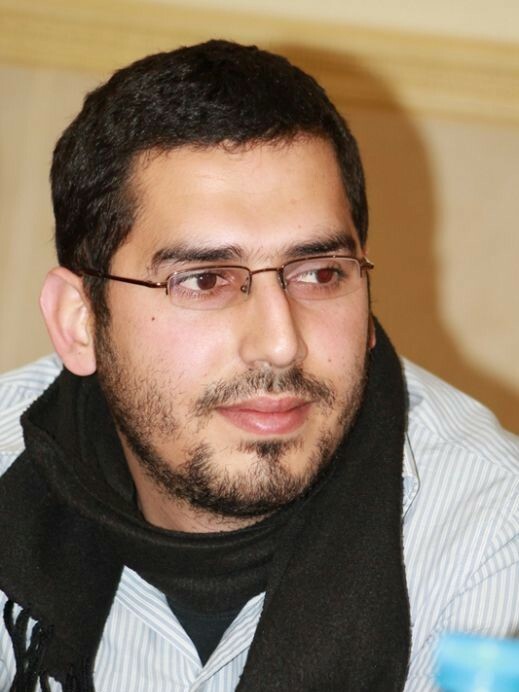 Ibrahim Khatib is an Academic visitor doing his Postdoctoral research at Oxford School of Area Studies and Middle East Centre at the University of Oxford. His previous scholarship has dealt with issues pertaining to identity and conflict, conflict resolution, democratic values, religions and conflict, political Islam, Israeli politics, Middle East politics and Arab- Israeli conflict. In addition He has published in number of peer reviewed journals including Journal of Peace Research, International Journal of Conflict Management and Citizenship Studies. His research is about the relationship between democratic values, identity, threat, conflict Perception and willingness to reconcile in the context of the Arab-Israeli conflict.